Do you worry that your teeth are much less than perfect? Are there stains on your teeth that you would do anything to have them come off? 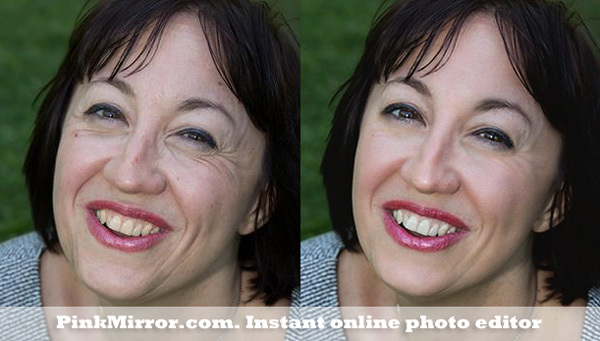 IF so, you need the Virtual Makeover PinkMirror Portrait Retouch teeth whitening service. Nothing compares to a great set of teeth as displayed by an ear-to-ear smile in an image. As they say, a picture speaks a thousand words, and a great smile will depict you as a jovial, outgoing and a hygienic person. However, not every person can don that captivating smile in his or her photography, but this is what everybody wants. 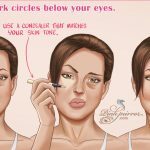 Get your online makeover today! 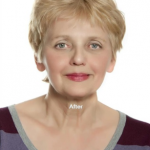 What Will the Online Makeover Teeth Whitening Portrait Retouch Service Do for You? You can use the Virtual Makeover Portrait Retouch teeth whitening feature to make your teeth or smile as white as you like. 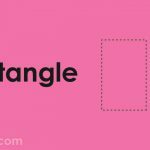 This feature helps you to transform your teeth into an attractive set, drawing attention to your uploaded photo. Sometimes people lose their self-confidence all because their teeth are a little stained. Don’t let that happen to you. 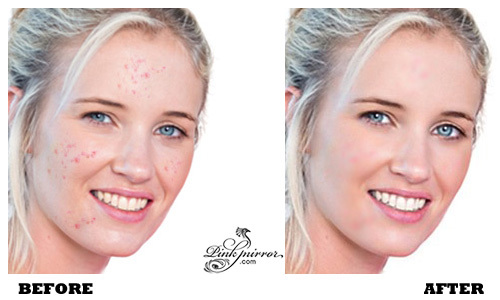 Let the Virtual Makeover PinkMirror Portrait Retouch transform the smile you have in photos. 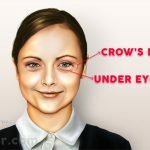 White teeth will not only be good for the social network images, but they will also assist you to realize ultimate success in love and work. So, get that big white smile for success in life with an online makeover right away! 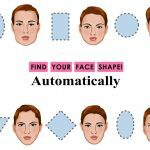 Put your best face forward in your photo. Get rid of the flaws that seem to jump off the page. 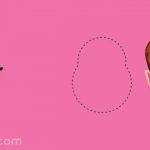 Whether those flaws are facial scars, acne or yellowed teeth, fortunately, you can remove them by having a picture makeover online here. The process is quite simple and you don’t have to work on it all. 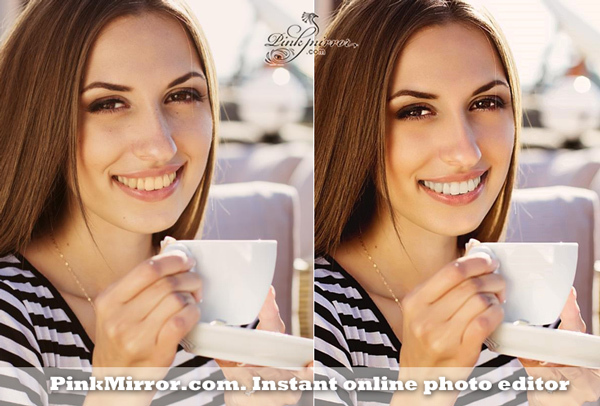 The PinkMirror software handles all the editing of the photos for you. Don’t waste another picture being less than your best! Transform your teeth and other facial features with the PinkMirror services starting today! This works great as a natural teeth whitener. Many people confirm to the fact that it does make their teeth look whiter. Mix a small amount of hydrogen peroxide with a small amount of baking soda to make a paste. Brush your teeth as usual, making sure you brush those back teeth too. Hydrogen peroxide is an anti-bacterial agent and works great as a total mouth and gum cleaner and keeps the mouth free of germs.